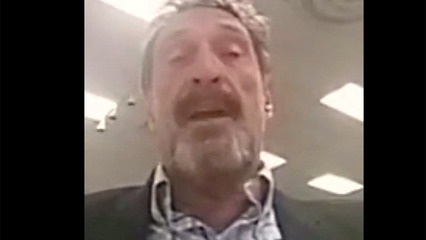 McAfee details about his plans for his first year as President of the United States. In this segment of The Irari Report interview with security icon and presidential candidate, John McAfee, Ira Winkler and Araceli Treu Gomes ask McAfee about his plans for his first year as President of the United States. McAfee would disband and/or reduce several government agencies including the TSA, Bureau of Indian Affairs, and the FDA. He also details how he would cut the debt by decreasing foreign aid, while hiring thousands of cybersecurity experts. Most notably, McAfee talks about how he would save billions of dollars by releasing any people in federal prisons for marijuana-related offenses. In this short but detailed segment, you can truly learn about what McAfee plans to do as president, and learn how he is clearly distinguished from the other candidates.